There is an urgent need for good parental controls on mobile tablet devices. The video bellow is from of Ali Naqi Shaheer at Le Web. He talks about the need for proper parental controls on the iPad. Apple offers some parental controls but not in the browser and there is no way to monitor your what your kids do or watch on the device. Net Nanny and other parental controls on Windows computers have been popular for years, but they don't work on mobile devices and since mobile devices are so portable they are needed all the more. Apple makes it very difficult for a 3rd party app to monitor what else is happening on the system, but Android is more open. When I built Smart Lock I knew it would help some parents but I also knew that it wouldn't be enough. I'm working on a better solution. I'll post more information in the coming weeks. Last night I was on the Android Guys Thursday Night Droid-cast. They interviewed me about my recently released Smart Lock 2.0 app. I really enjoyed it. My interview starts at: 8:50 and takes a little over 15 minutes. You can listen to the whole podcast on Blog Talk Radio or search for Android Guys on your favorite android podcasting app. 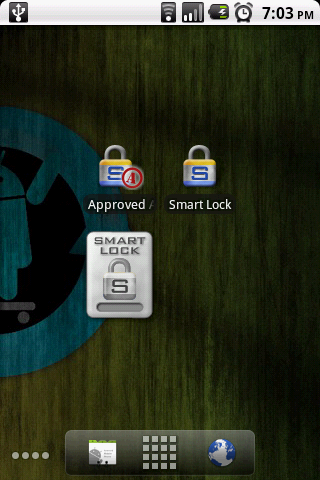 We have released Smart Lock 2.0 in the Android Market. 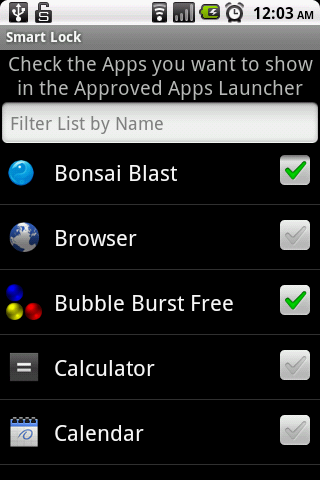 Version 2.0 features a new Approved Launcher icon. You can use it Smart Lock several applications instead of just one at a time. This essentially gives you Parental Controls on your phone. The update is free for existing users. 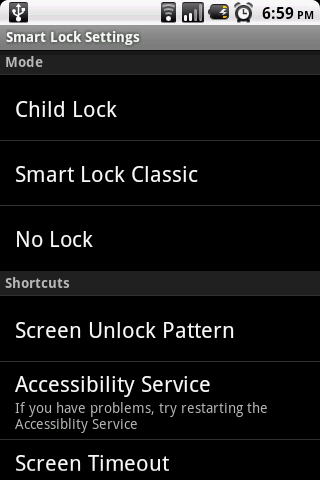 You can find Smart Lock 2.0 in the Android Market. Search for "Smart Lock" or click here. I have made a new Overview video for Smart Lock 2.0. It highlights the new Approved Launcher feature. Check it out. I will be releasing Smart Lock 2.0 in a few short days. 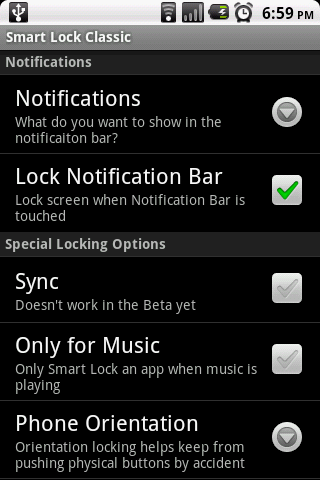 I promised some screenshots of Smart Lock 2.0 so here they are. 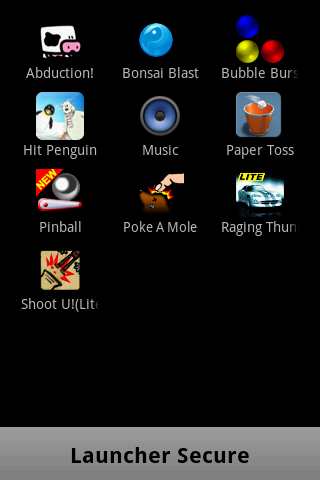 I hope you like the new layout and the new Approved App Launcher. Let me know what you think in the comments.